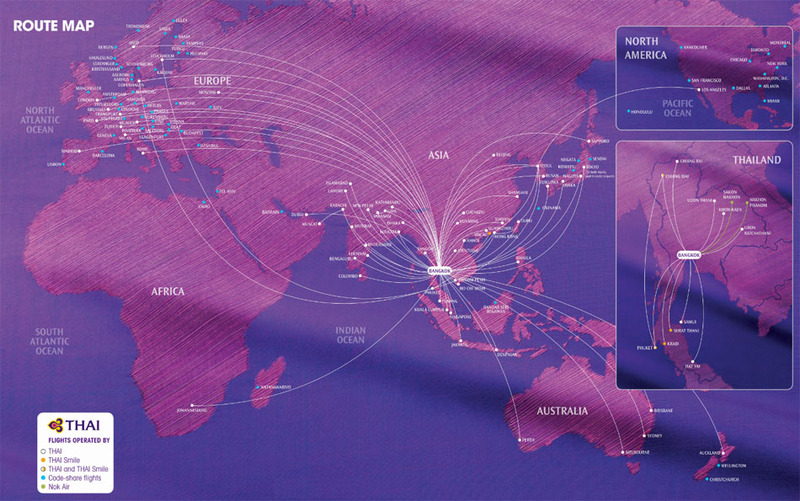 Thai Airways International Public Company Limited, trading as THAI (, ) is the flag carrier airline of Thailand. Formed in 1988, the airline has its corporate headquarters in Vibhavadi Rangsit Road, Chatuchak District, Bangkok, and primarily operates from Suvarnabhumi Airport. THAI is a founding member of the Star Alliance. The airline is the second-largest shareholder of the low-cost carrier Nok Air with a 21.80 per cent stake, and it launched a regional carrier under the name Thai Smile in the middle of 2012 using new Airbus A320 aircraft.